Given the home cook loves to spend time in the kitchen is already a plus and preferably whipping up some delicious meals for the season. Whether you’re shopping for an established chef or the aspiring newbie, below, some ideas to stock their pantries (because your snacking and sipping depends on it). 1 of 9 © Harbor Trading Co.
Of course, farm to table is all the rage but a sea to table delivery box? Yes. Discover where your fish was caught (with a traceable code to find the captain who reeled in your supper) alongside a healthy, chef-designed recipe. We love the high-quality, flawlessly measured ingredients, including those for the uber-fresh halibut tacos and tequila lime marinade. This large definitive kitchen bible from New York City’s Eataly not only features over 300 recipes from all parts of Italy, it has a savvy, visual guide to various staples for both amateur and advanced chefs. And, we also think it looks great on a shelf. Who doesn’t love a fashionable collaboration that benefits everyone? 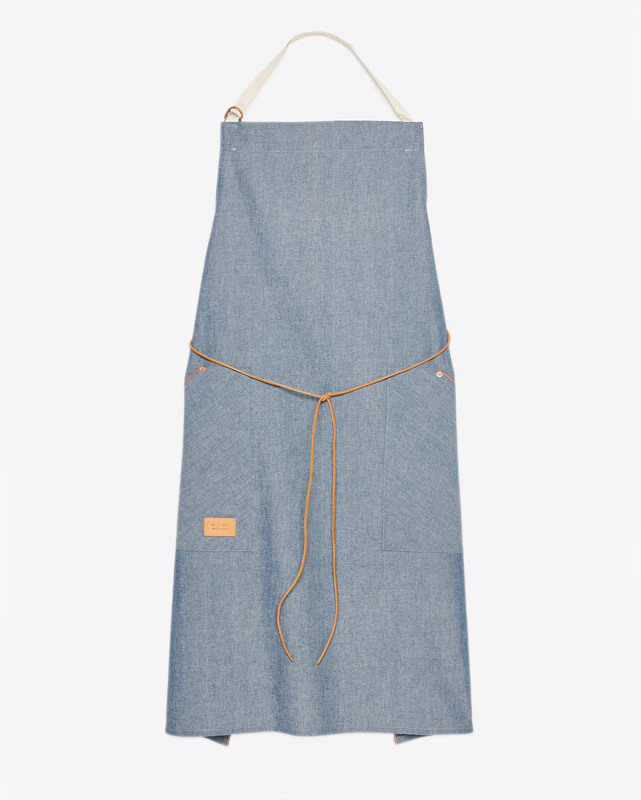 Compliments of Southern designer Billy Reid, this soft cotton, leather tie apron has front pockets and funds The Besh Foundation’s culinary scholarship program. And in true New Orleans fashion, a recipe for the Sazerac sits inside the pocket to whip up one of your own. A kitchen isn’t a kitchen without quality olive oil. 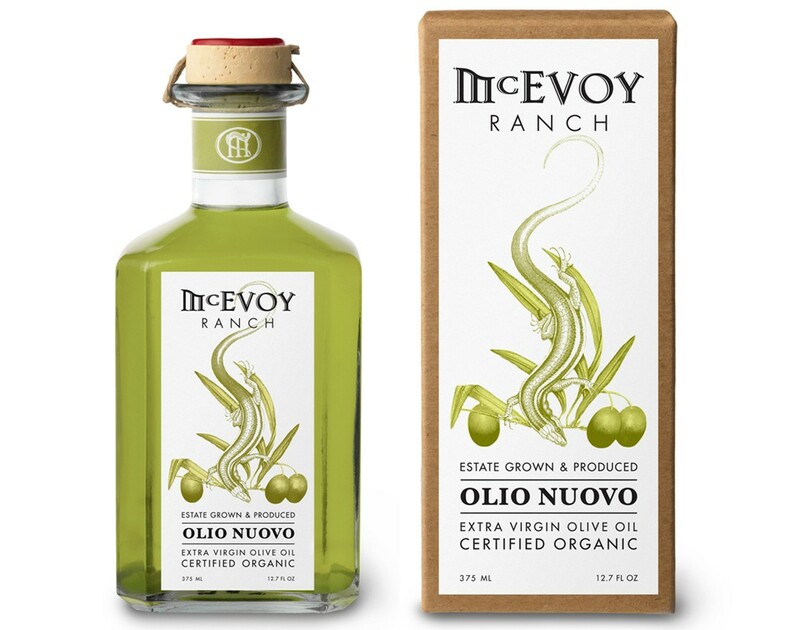 This special seasonal oil from California’s revered McEvoy Ranch is a vibrant, traditional Tuscan style green oil with intense flavor and color (yes that is green) instantly bottled without filtration. The result is perfect for salads, breads or tossed with your favorite pasta. 5 of 9 © Rustic Wall Co. 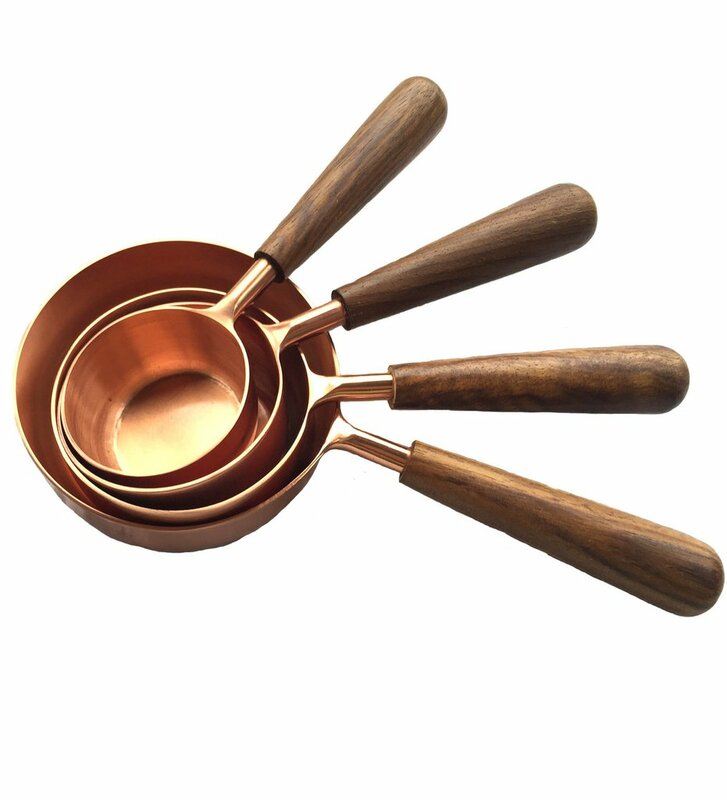 These handsome, sturdy copper measuring cups, guaranteed never to fade or wear, are made with durable stainless steel and fine Indian rosewood. They make a perfect eco-friendly companion for baking, scooping coffee or any meal prep. 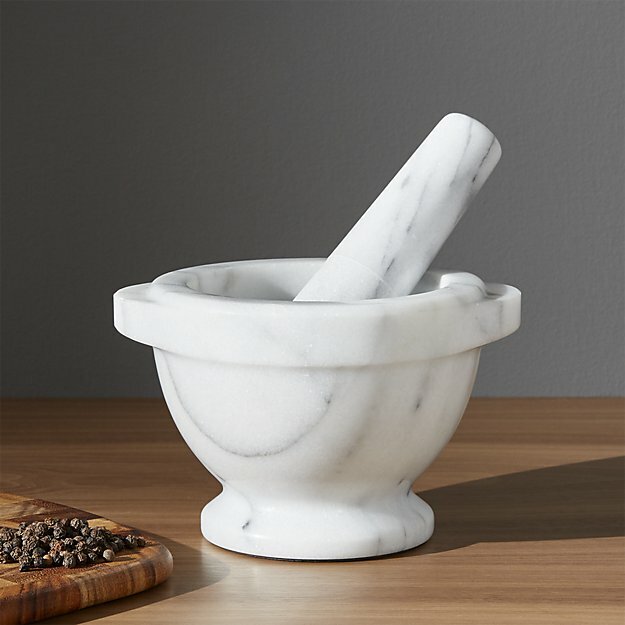 By now, we know a kitchen isn’t complete without a classic mortar and pestle. A clean, mod look with white marble and grey veining, its easy to blend spices, herbs, garlic, nuts and whatever might be in your pantry. 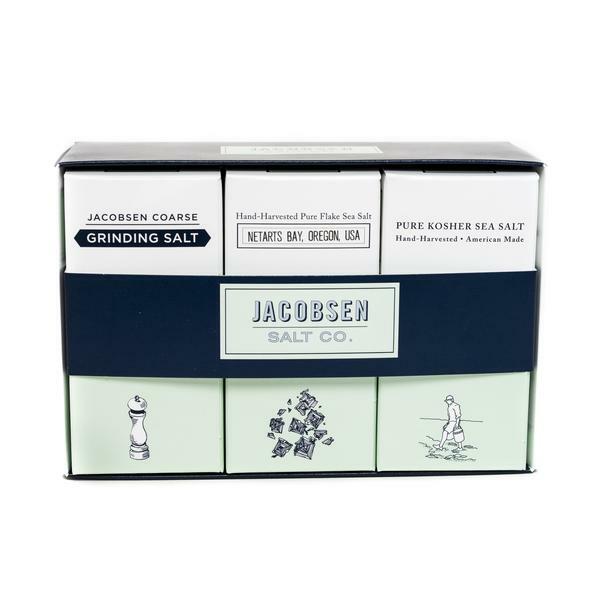 From Portland outfit Jacobsen Salt Co, this small staple gift set contains three hand-harvested salts in a variety including Flake Finishing, Pure Kosher and Coarse Grinding. 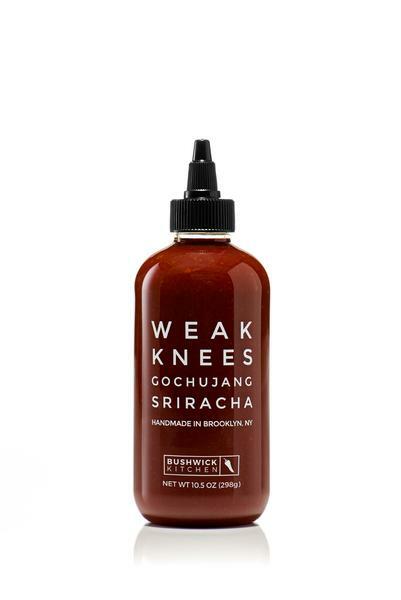 Here we’ve got a deep, earthy sriracha with spicy-sweet flavors and a bit of fermented gochjujang chili paste to boot. Blended, bottled and shipped by hand in Brooklyn, NY, you’re bound to it kick it up your condiment cabinet a few serious notches. For the design savvy, throw away those dowdy old kitchen towels and bring the lively primary colors of Amsterdam-based Scholten and Baijings studio into your home. 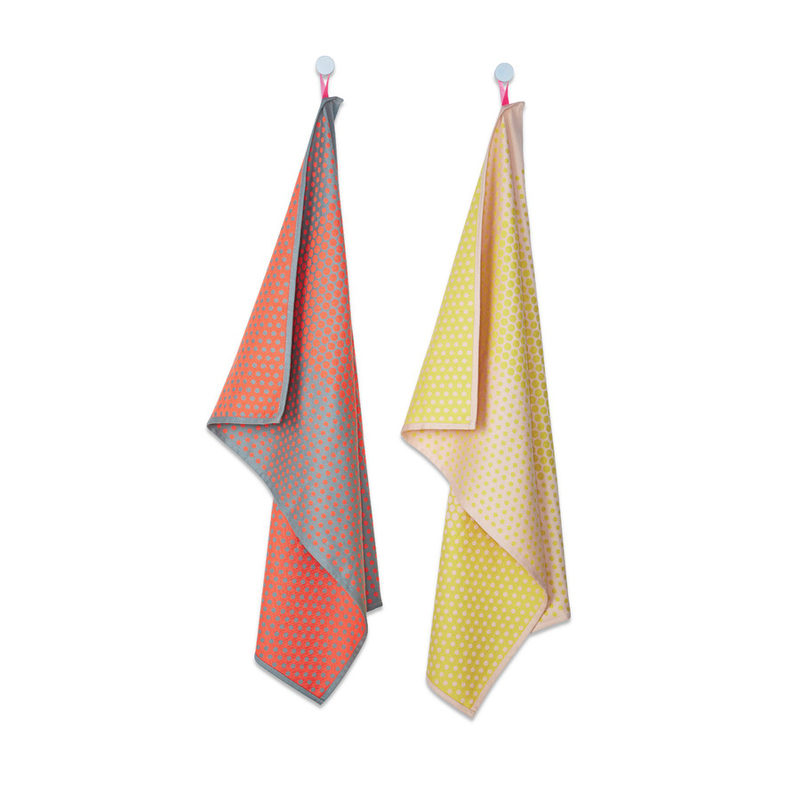 With two towels, it’s easy to wipe your area clean with this poppy, soft woven cotton set.